Central question: Did God create war? “There is no progress in the arts,” said the radical William Hazlitt, and he was right: the problem with most so-called new formalist poetry is not that the poets write as if it were 1953, but that their poems would not have attracted interest—might not have seemed skillful, or even competent—by the standards of 1953. It’s distressingly hard to find new American poets best served by traditional prosody, by terza rima or by couplet rhyme. Hard, but hardly impossible. Melissa Range is one such poet, and her immersion in traditions—religious and regional, as well as metrical—has led to an exciting, disturbing, promising, if also brief, first book. It is a book of the American inland South, of Range’s natal east Tennessee, the “dark and bloody ground” from which white men expelled the Cherokee. The plant called bloodroot represents “blood shed / beneath the surface of the world,” blood shed by Range’s forebears, on her behalf: “stain me red,” she asks, “and bury me with my people.” At her best—perhaps half the time, here—she can master a cascade of rhymes without abusing the shapes of American speech. She says of a worn-out workhorse, for example, “Too much sweetgrass made him lame, / or we did; too much bridle made him tame, // which we did. 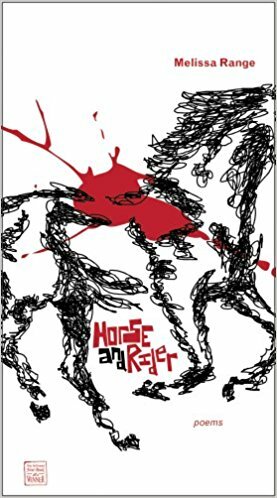 Nails in his foot / mean he’s not good-for-naught,” and the rhymes canter on till the poem, and the horse, meet their ends. Even more than it is a Southern book, Horse and Rider is a war book, attentive not just to the Indian Wars but to Iraq and Afghanistan obliquely, to Homeric Greece and to Beowulf’s England directly. The middle third of Range’s volume consists of poems spoken by implements of battle, from a wooden shield to a hand grenade. “The Battle-Axe” cuts through pretensions, the working-class rival to the aristocrats blade: “knights want to battle and die/ by a princely, pricey sword. That’s comical. / I deal death as death should be:/ commonplace, quick and economical.” Other weapons are less aggressive in their wishes, though equally fatal in their effects. A rope would rather be anything but a noose; a javelin implores, “Sight your target and fling me// goodbye. I want to be held,/ but I want more to fly.” Such poems may look like exercises, and the worst poems here do feel like assignments, but the best end up more thoughtful, and more energetic, than most poets’ most clearly personal work.